Android smartphone and tablet users are very well aware of the benefits of Android Rooting, as Rooted Android device provides them freedom to explore and manage SuperUser rights. With the help of SuperUser for Android, users can get access of system files and folders, which mainly and particularly belongs to device manufacturer use only. SuperUser android application allows users to monitor and manage root permission of installed apps and games. The official Direct Download Link of SuperUser .APK File for Android is also available for our readers. How to Install SuperUser Manually? Step 1: Download .zip file via links available below. Step 2: Move SuperUser .zip file to SD Card. Step 3: Boot device through CWM Recovery or any other custom recovery. Step 4: Choose install zip file through SD card. Step 5: Toggle Script Assets = ENABLED. Step 6: Now select .zip file and Reboot device. Step 7: Run SuperUser app on your device, and click "Continue", when app prompts "outdated binary". Step 8: Now app will get root access, after su binary updation, or you can update su binary yourself. SuperUser a.k.a. 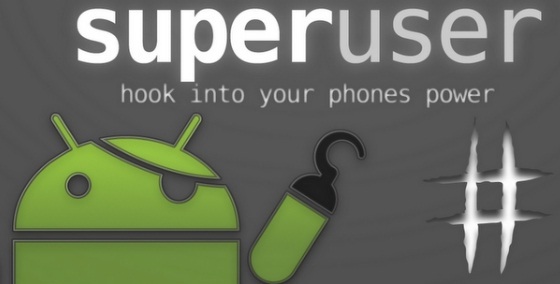 SuperSU only works on compatible Rooted Android smartphones and tablets i.e. Samsung, Motorola, LG, Huawei, HTC, Sony, Lenovo, Xiaomi, Asus, Oppo, ZTE, and other Android powered phones. Android device users can free download SuperUser app from Google Play Store, and as well as from third-party links for manual download and installation with .apk installer file provided below.